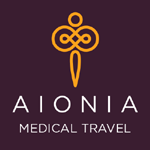 Aionia Medical Travel work with internationally accredited hospitals and some of the most highly experienced surgeons in their respected fields to offer the highest calibre of care. They connect individuals to affordable, world-class care in cosmetic surgery, dentistry, stem cell therapy and anti-ageing therapies. Working with clinics in Bali, Kuala Lumpur, Manila and Bangkok, Aionia have carefully selected their network of clinics, each offering treatment in particular specialities and all meeting exacting international accreditation standards. They have teamed up with Cocoon Medical Spa, StemCell21, Smiles by Dr Cecile and Beverly Wilshire Medical Centre, all offering outstanding treatment and care in their specialities. Aionia take care of all aspects of their clients journey, including arranging all appointments with their chosen provider, as well as also managing all travel arrangements, including: flights, accommodation and transfers.